... if the time travel doesn’t always feel essential, if the formal structure doesn’t always justify itself, these are complaints at the margins of an engaging and ambitious novel. This is a messy, chaotic story about a messy, chaotic century. And after all, Wray never promised a self-contained theory of chrononavigation. For this reader, at least, a novel is a success if it causes time to warp, to bend and deform, if it breaks time apart and puts it back together again in an interesting way. John Wray does all of the above, with wide-ranging intelligence and boundless verbal energy. 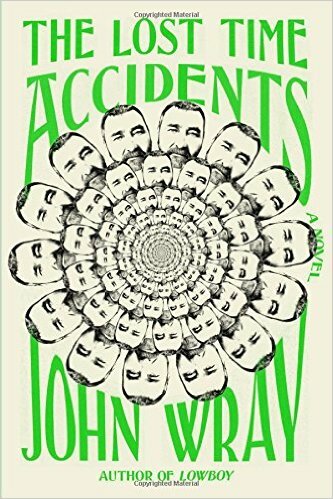 The Lost Time Accidents is a feast, but not a glut, in part because its author leaves so much to the reader's deduction, both in terms of the book's central mystery and in the dense web of allusion and in-joke that decorates each page ... 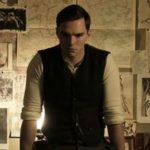 The book may involve 'the Gestapo, and the war, and the speed of light, and a card game no one plays anymore,' but it is really interested in simple emotional truths rather than complex scientific ones. At times, the author’s belabored attempts at replicating the brain-freezing stylizations and vocabulary of kitschy science fiction become a drag on his otherwise fleet plotting. But his empathy for people with a finger’s grip on sanity galvanizes his tale with a liberating touch of crazy. What did you think of The Lost Time Accidents?